WorkCentre 5300-serien selges ikke lenger som nytt produkt. The Xerox WorkCentre 5300 series of multifunction printers received Buyers Laboratory Inc. (BLI) "Summer 2012 Pick" awards in "Outstanding 21- to 30-ppm A3 Monochrome MFP," "Outstanding 31- to 40-ppm A3 Monochrome MFP" and "Outstanding Achievement in Energy Efficiency." BLI gave the WorkCentre 5325, 5330 and 5335 "top marks for printed text and halftone range . . . multitasking, feedback to workstations, ease of network setup, printer drivers and tested toner yield" and said they "proved faster than average in most scanning tests." 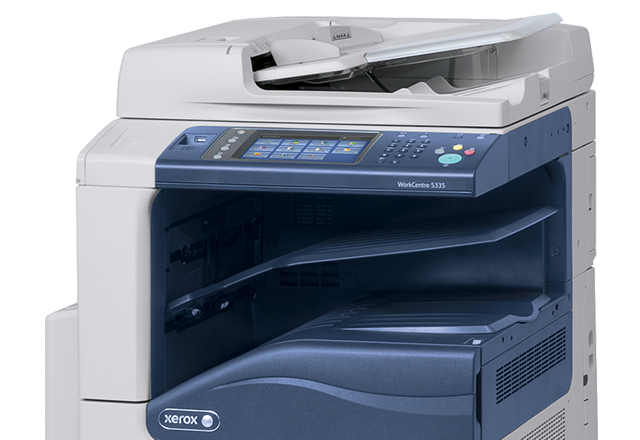 Regarding the WorkCentre 5335's award for energy efficiency, BLI says, "With projected energy consumption about 60% lower than average, the Xerox WorkCentre 5335 has earned its place among the most energy efficient models tested in its category. In fact, the WorkCentre 5335 stands up as the device with the lowest energy consumption and associated cost of any A3 MFP in its class." BERTL named the WorkCentre 5335 "Best Segment 3 A3 Monochrome Multifunction Printer" in its spring 2012 BERTL's Best Awards. 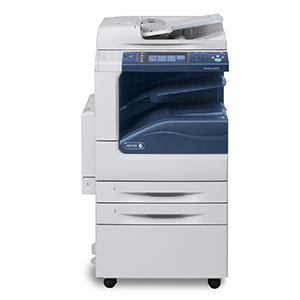 "Fast 667 MHz processor with a 160 GB Hard Drive," "1200 x 1200 dpi resolution," "Powerful scan and fax workflows," "Versatile media handling," EIP, security, and energy- and supply-saving features helped the MFP earn its 5-star Exceptional rating. The WorkCentre 5300 Series of multifunction products received a 2011 Editor's Choice Award from Better Buys for Business. The report says, "Xerox keeps upgrading its whole product line, offering improved features at the same, or lower, prices. The WorkCentre 5300 machines are no exception." The report sums up the product family as "New small-to-medium workgroup models with very good multifunction features." The WorkCentre 5300 Series of monochrome multifunction printers received a 4.5-Star "Outstanding" rating from the independent analysis and testing firm BERTL. 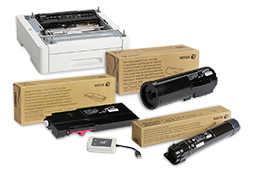 The report called out "Fast print and copy productivity," "High print resolution," "Innovative touch screen," "Xerox Mobile Print Solution" and "Advanced scanning" among other key buyer benefits.